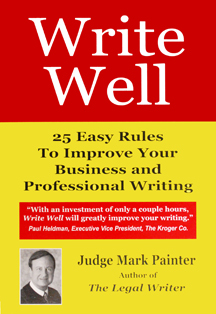 Reading briefs daily, and examining pleadings and motions, I see some good writing – but many errors. The most common appear so frequently that even if I have mentioned them before, they bear repeating. 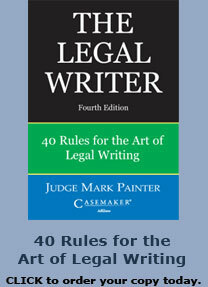 All the following are “rules” in my book, The Legal Writer: 40 Rules for the Art of Legal Writing. Starting with the most common, these are the biggest offenders. By far the most common error is jumbling up letters and numbers in the middle of paragraphs. Putting citations in the body of a motion or a brief destroys readability. 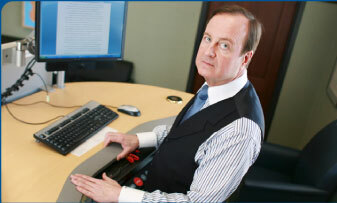 But many attorneys have changed this practice – and their briefs have become so much easier to read. Missing from most briefs or motions is context. The reader must know what the case is about before slogging into it. Put a short statement up front. In fewer than 75 words explain the situation, and what you want the court to do about it. There are samples in my book. Commas and periods go inside quotes. Always. No exceptions. Quotation marks are used incorrectly in so much legal – and non-legal – writing that it’s an epidemic. The day I wrote this column, I saw four briefs in a row with this glaring error throughout. In American English, all commas and periods go inside the quotation marks. This is true whether the quotation is a whole sentence or a fragment. In Commonwealth English, the opposite is true. So if you see a Canadian or British or New Zealand quotation, the periods and commas follow the same rule as the one below for question marks and exclamation points. But we are in America – you must get it right. The only time you have to make a decision where punctuation goes is when you have a question mark or an exclamation point. These go inside the quote marks if they are part of the quotation, outside if they are not. Wrong: Williams believes that “might makes right”. Wrong: Smith said, “I am not going”, and stayed seated. Right: Smith said, “I am not going,” and stayed seated. Wrong: The author wrote: “We cannot abide consistency”. Wrong: The court quotes Shakespeare: “To be or not to be;” it then overruled the objection. Right: The court quotes Shakespeare: “To be or not to be”; it then overruled the objection. Wrong: Smith said, “Get Help”! and ran. Right: Smith said, “Get Help!” and ran. Wrong: The judge asked: “Are you ready for trial”? Notice that the short quotations above may be introduced by either a colon or a comma. The colon is preferable when (1) it introduces something more formal, or something said in a formal atmosphere, and (2) the source is identified before the colon. If you do not want to have to remember that suggestion (it is not a rule), then you will not be wrong if you always use a comma. Avoid overchronicling – most dates are unimportant. There is nothing wrong with stating the facts in chronological order. Your initial outline of the case should list all dates because you don’t know which events might prove crucial. But you should know by the time you are writing up the case for a court. Using an exact date signals the reader to remember that date – it will be referenced later. So unless an exact date is important, leave it out. Instead, tell us what the case is about – only the material facts, and why they are important. Say “in June” rather than “on June 14, 2000,” or worse, “on or about” – another annoying lawyerism. If you have been working on the case for years, you should know when events happened. Before we became lawyers, we might have expressed our opinion by saying “I think that …” Now we say, “I am of the opinion that …” What does it mean to be of an opinion? We have turned a verb, think, into a noun, opinion. Or instead of “Smith hit Jones,” we write “Jones was victimized in an assault by Smith.” The verb hit becomes the noun assault. That is called nominalization. It creates buried verbs. Nominalization usually results in a passive-voice sentence – a form of to be (was in the Smith-Jones sentence) becomes the verb. But sometimes this just adds a verb and obscures the real verb. Instead of a straightforward “The police searched Smith,” we might say, “The police performed a search upon Smith.” Is the performance what we want to stress? Of course not; it’s the search. Searched is a fine verb – it conveys exactly what happened. When we muck it up with a performance, it is at least distracting – at most misleading. And when we write “Smith filed a motion for summary judgment,” we really don’t mean to emphasize the filing. If we write “Smith moved for summary judgment,” it makes much more sense and is shorter. Of course, once in a great while, the filing itself gets the emphasis, as in “Smith filed his motion five days late.” But not often. Most nominalizations end with -tion, -ment, -ence, -ance, -ure, -ery. Nominalizations not only add a noun-verb, they also add an article. So you have two extra words, in addition to taking the action out of the sentence. Dr. Terri Mester, an English professor at Case Western, uses examples of nominalization in her plain-writing seminars (which are worthwhile, as are mine). My favorite sentence follows, with the nominalizations and passives italicized. “Although there are no new natural gas areas that will be created, an enhancement of land use through reduction in flooding is obtained through the plan.” How about this: “The plan creates no new natural gas areas, but reducing flooding enhances land use.” The active-voice revision strikes out 12 useless words (46 percent of the sentence). Here’s another of Dr. Mester’s examples (used by permission): “If there is a continuation of this breach, my client will effect an immediate termination of the contract.” As revised: “If this breach continues, my client will terminate the contract.” This version eliminates eight superfluous words (44 percent) and strengthens the sentence. Nominalization – strike it out. Hunt it down. Your reading audience will thank you.